Finding good Mexican food in Vancouver is akin to finding a car parked properly at Crystal Mall. But, in San Diego, it is another story. 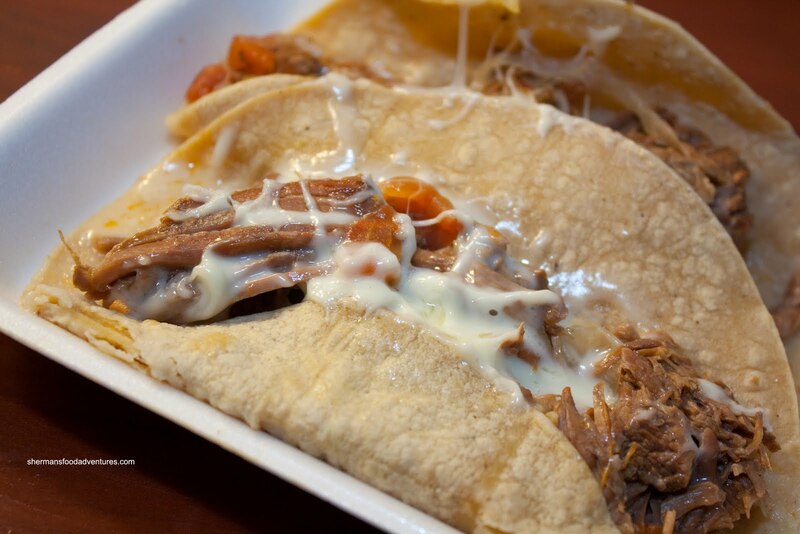 With its close proximity to Mexico, it is only natural to find many great Mexican restaurants. However, not all are created equal. Much like you cannot assume a Chinese restaurant is good in Vancouver, you have to pick your spots in San Diego as well. 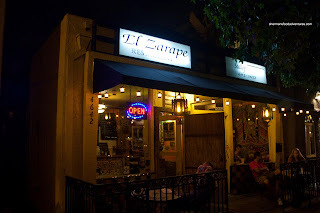 In consultation with some locals, we headed out to El Zarape for some authentic Mexican eats. However, the parking in the area was inhospitable (how ironic). Furthermore, a lineup out the door didn't bode well for us. So, we headed over to Bronx Pizza for some slices. My son was quite dismayed at this development since he was looking forward to some tacos. We tried convincing him that the pizzas would be good and I'd put on extra Parmesan. No dice. He was whiny as a 6-year old. Wait, he is a 6-year old. Fine, we drove all-the-way-back to El Zarape and this time around, there was no lineup. Still no parking though! I finally decided to ditch the car at a closed auto shop nearby and ran in quickly to get some take out. From the outside and inside, the place is very humble. No glitz. No gimmicks. You see, we were just coming back from Old Town, where there were "Mexican" restaurants abound. We were tempted to eat at one; but there was "tourist trap" written all over them. At El Zarape, you order at the counter from the large menus on the wall and head on over to the condiment station where you can help yourself to sauces, limes and spicy carrots. I was so excited to see the reasonable prices, I went a bit overboard with my selections not realizing the portion size. 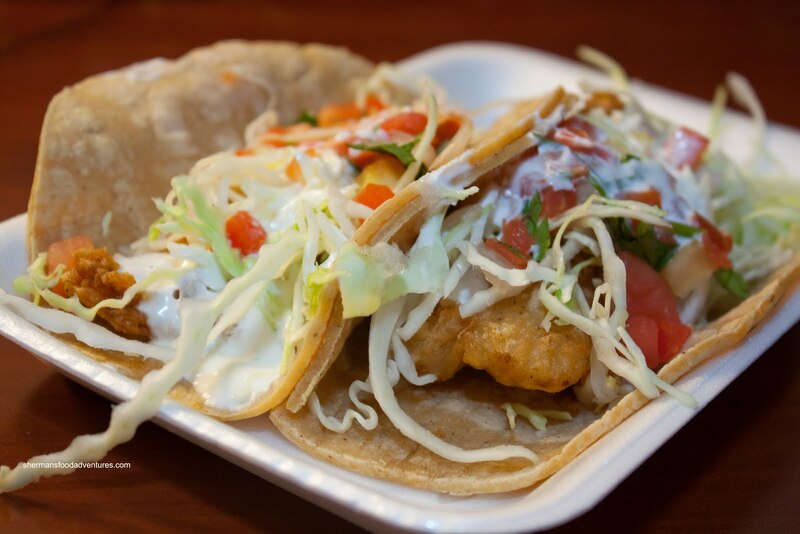 For a measly 99 cents each, the Fish Tacos were quite good. The fried fish was of a decent size and I got a piece in every bite of t he taco. It was crisp which kept the taco from getting wet. 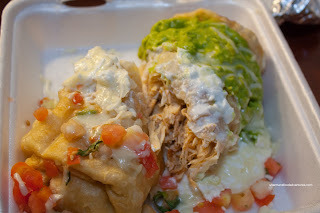 It was topped with fresh salsa, cabbage and sour cream. They were good on their own; yet even better with the addition of one of their hot sauces. I went for the spicy. Really flavourful. We also got the Beef Tacos because my son wanted them. That is why there was nothing on it except for beef. As expected, he didn't eat them and opted for the pizza instead. How could I not see this coming??? Anyways, the hand shredded beef was fantastic. Flavourful with lots of depth from the braising while being very moist and tender, this was delicious. The sheer volume of m eat also made this a hearty taco. Another dousing of hot sauce and we were happy campers (except for my son). While at the counter, I asked for something else that I should order and the guy suggested the Cactus Taco. Sure, that sounded good; however, when not prepared properly, cactus can be extremely slimy. Not here though. It was tender with a slight snap and not slimy at all. Going for something different, I got a Lobster Burrito as well. I wasn't expecting much out of this one since it was reasonably-priced and well, it ain't a seafood joint. 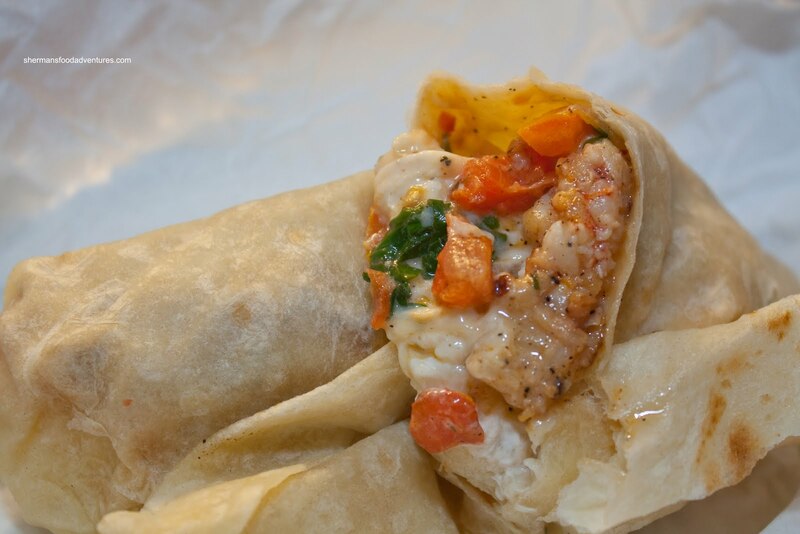 To my surprise, the burrito was filled with large pieces of lobster. Moreover, it was cooked perfectly with that fresh snap and natural sweetness from the flesh. I am still thinking about it and by the end of the trip, hope to get another. Lastly, I got a Chicken Chimichanga. This behemoth was filled to the max with shredded chicken breast meat. Although not exactly super moist, the meat was not dry either. There was plenty of flavour on its own and was further helped along by the 3 sauces on top. Lastly, I got some Nachos and well, they were forgettable. 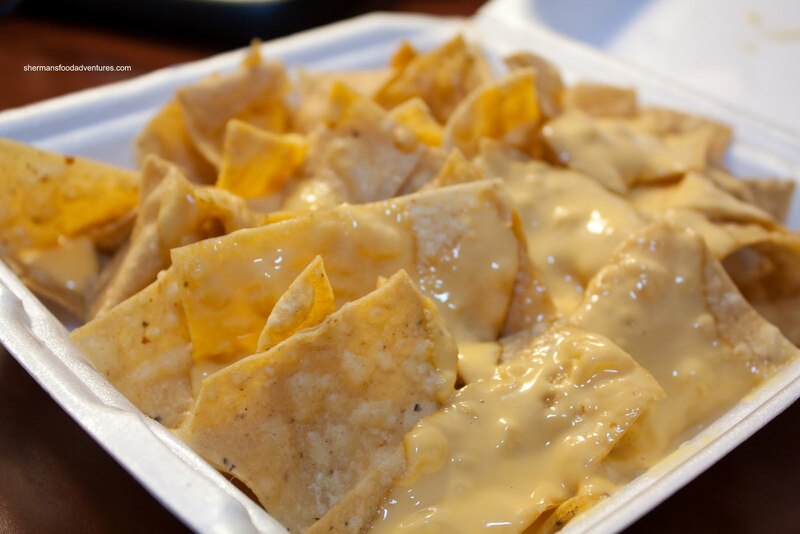 The cheese sauce reminded me of 7-11. Besides that, the food was pretty good and cheap! - What's with the nachos? As expected, he didn't eat them and opted for the pizza instead. How could I not see this coming??? Unless I am mixing things, that would be nopales, a edible cactii. When I was in Mexico (as in Mexico City, not in some all-inclusive resort near a beach), it was usually served as a side. The texture is similar of green beans. Might be a bit of an acquired taste but I liked it. Finally, ordering nachos in a (traditional/"authentic") Mexican place is akin to asking for ginger beef in a Chinese restaurant. i was craving for some badass real authentic mexican tacos, do you have any place you recommend for me? @KimHo Yah, I should've know with the Nachos. My bad! @tilahuynh Haha, sorry. I really wished we had great Mexican food too!